Alia Bhatt says that she trained for an entire year in classical dance and dedicated two months to Pandit Birju Maharaj for 'Ghar More Pardesiya' song in Kalank. She praises Madhuri Dixit and Remo D'Souza for helping her. 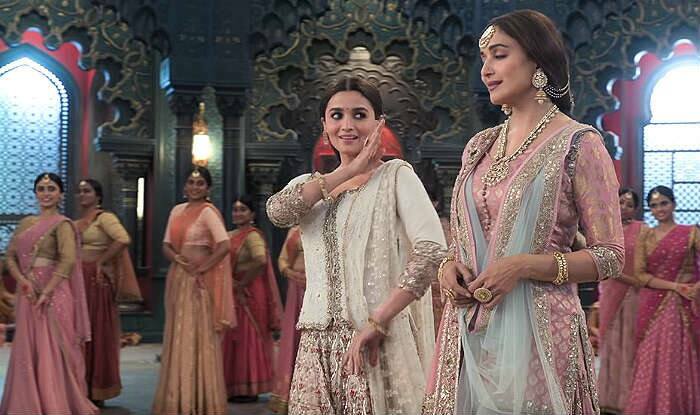 Actress Alia Bhatt shows some stunning classical dance moves in her upcoming film Kalank. The glimpse of which can be seen in the first song from the film, titled Ghar More Pardesiya. The song features Alia and Madhuri Dixit synching their voices to the tunes of the classical number. Now, in an interview with a daily, Alia has opened up on how difficult it was to share the screen space with Madhuri and constantly fearing if she has a dance face-off with the actress in the song. Alia revealed that Madhuri always stood by her while she was practising her dance moves and helped to learn the skills to perfection. The actress also revealed that the makers have only shown the edited version of the song on YouTube and there’s a lot in the video that’s left to be revealed on-screen. “We want to leave a chunk for the movie. This song is visually opulent and has a cinematic quality,” Alia said. The actress, who plays the character of Roop in the film, revealed that she trained for two months with Pandit Birju Maharaj for the song. “It was a difficult and crucial song for me. While I trained in Indian classical dancing for nearly a year, I dedicated two months to this particular song. Pandit Birju Maharaj helped me crack the expressions. I consulted him a week before we shot the song,” Alia explained. Apart from Alia and Madhuri, Kalank also features Varun Dhawan, Sonakshi Sinha, Sanjay Dutt and Aditya Roy Kapur in important roles. The film is directed by Abhishek Varman and produced by Dharma Productions. It is slated for release on April 17.